The U.S. House Ethics Committee voted Thursday to establish a subcommittee to investigate allegations that U.S. Rep. Blake Farenthold sexually harassed a subordinate several years ago. 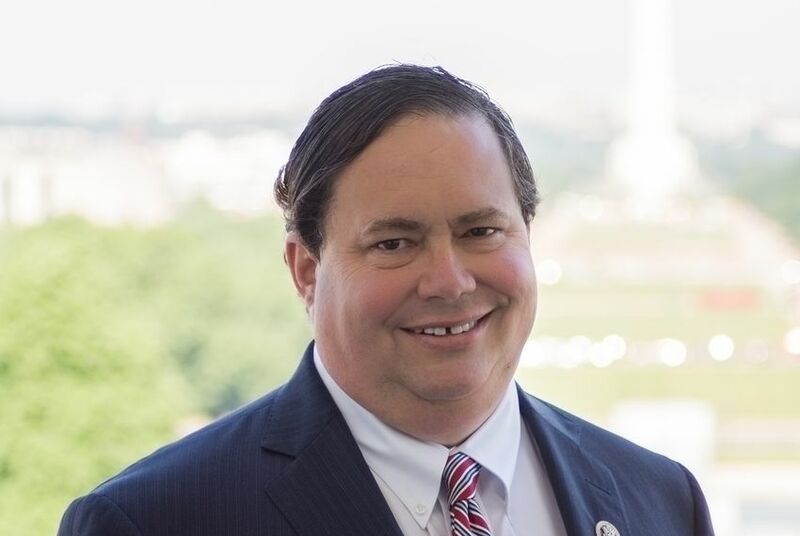 WASHINGTON — Members of the U.S. House Ethics Committee unanimously voted Thursday to establish a subcommittee to investigate allegations that U.S. Rep. Blake Farenthold, a Corpus Christi Republican, sexually harassed a subordinate several years ago. The matter appeared to be resolved two years ago. But it resurfaced as a heightened awareness of sexual harassment has swept workplaces across the country, including U.S. congressional offices. Back in 2014, Farenthold's former communications director, Lauren Green, filed a sexual harassment lawsuit against the congressman's office. The two parties settled in undisclosed terms in 2015. On Friday, Politico revealed that settlement included $84,000 in taxpayer funds. The four-term congressman said on Monday he would pay back the money. That action did little to calm the storm sweeping Capitol Hill. Intrigue and concern over sexual harassment is at the center of nearly every conversation in Washington, and Farenthold's political fate is a frequent topic of conversation among members of both parties. Given the new climate and revelations, the House Ethics Committee gave the Farenthold case a closer look. "Over the last two weeks, more information has been disclosed about the nature of the settlement between the parties. In addition, both Representative Farenthold and the Complainant have publicly expressed an interest in increased transparency in this matter," a committee news release stated. "In light of these developments, the Committee has determined that it is appropriate to establish an Investigative Subcommittee to continue its investigation." "The Committee notes that the mere fact of establishing an Investigative Subcommittee does not itself indicate that any violation has occurred." "Once all the facts are released, I'm confident this matter will once and for all be settled and resolved," he added. "I’m also pleased the Committee on Ethics recognizes, as per their statement, that I have cooperated fully with the committee's investigation and has acknowledged a decision has been delayed because of difficulty obtaining live testimony from other witnesses. This investigation increases the transparency the public deserves and what I've wanted since the beginning." The development came after a brutal week on Capitol Hill, where misconduct allegations led to the resignations of two firebrands: U.S. Sen. Al Franken, D-Minn., and U.S. Rep. Trent Franks, R-Ariz. Both men announced their resignations from Congress on Thursday. Former U.S. Rep. John Conyers, a Michigan Democrat, resigned earlier this week. U.S. Rep. Kenny Marchant, R-Coppell, is the lone Texan serving on the House Ethics Committee.